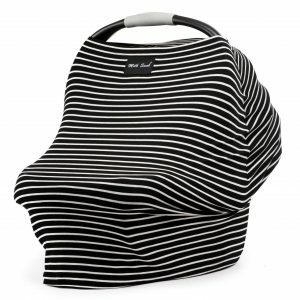 Designed by Melanie Disbrow, the Milk Snob cover is a versatile product which acts as a well-fitting and stylish infant car seat cover, a breastfeeding cover, and a trolley seat or high chair cover. 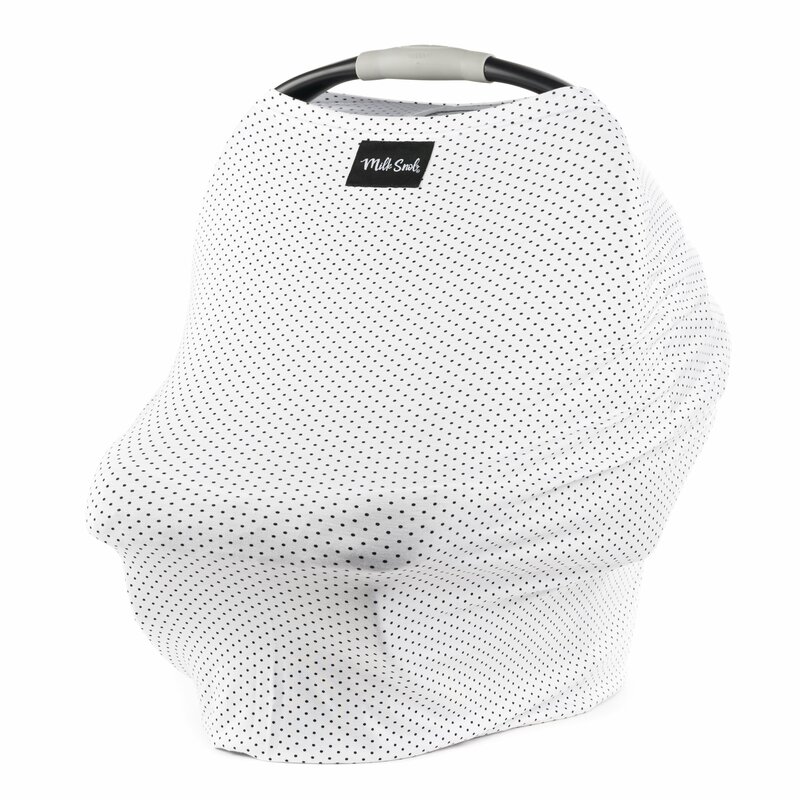 The Milk Snob provides super soft and stylish protection against the elements and onlookers, and also allows proper air circulation. 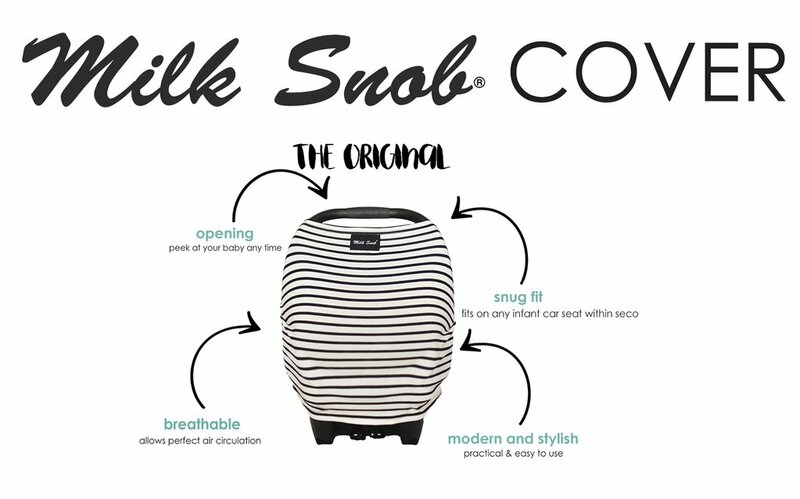 Milk Snob – The cover that does it all! 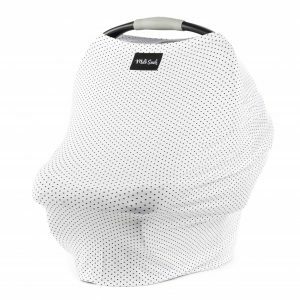 The Milk Snob Cover is a stylish 3 in 1 product that can be used as a fitted car capsule cover, a full coverage breastfeeding cover, or a shopping trolley seat cover. 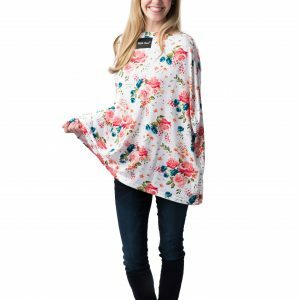 Each of the stylish Milk Snob cover designs are constructed from the highest quality, super soft, lightweight, and breathable rayon blend fabric. 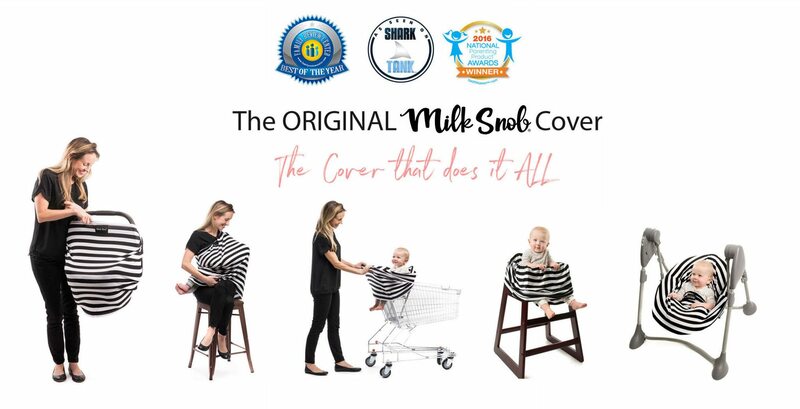 As a breastfeeding cover, the Milk Snob offers full 360 degree coverage. Your back, front, and sides will all be covered. 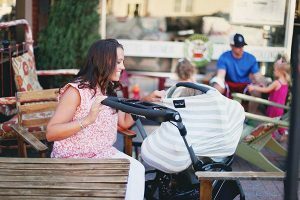 When used as a capsule cover, the Milk Snob will help protect your baby from harsh sunlight, wind, and unwanted onlookers. It also provides a good distraction free environment for your baby to sleep. 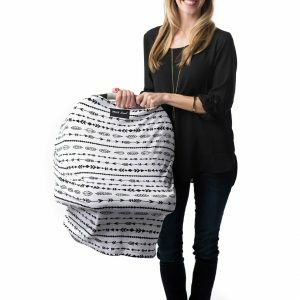 4 way stretch means a custom fit on any brand of car capsule. 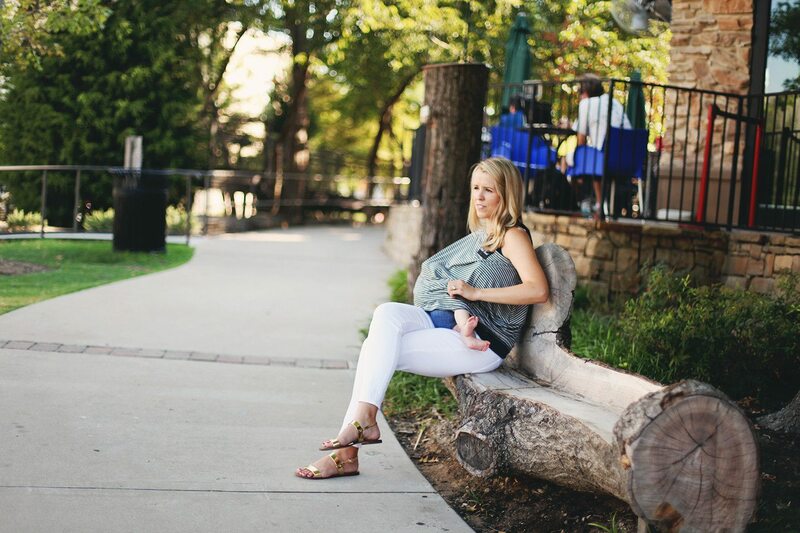 This stretch also ensures extra comfort while using the Milk Snob as a nursing cover. Hand wash warm. Wash with like colours. Do not bleach. Lay flat to dry. Warm iron inside out. Do not tumble dry. The Safety of your child is important! Please read all relevant safety information before using the Milk Snob covers. Always remove cover off your child’s infant car seat before placing it into a vehicle. 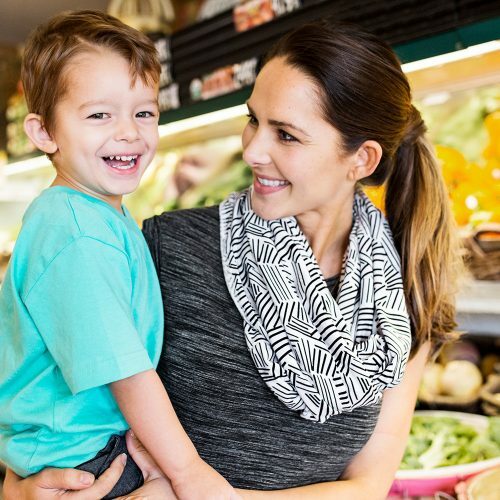 Never leave your child covered while unattended. Keep the cover away from any heat source.